Developed by veteran journalist Ted Harbin, Rodeo Media Relations and TwisTed Rodeo are both all-purpose promotion companies that focus its attention on the sport of rodeo and its people. Harbin is one of just six individuals who has been honored with media awards by both the Professional Rodeo Cowboys Association and the Women’s Professional Rodeo Association. 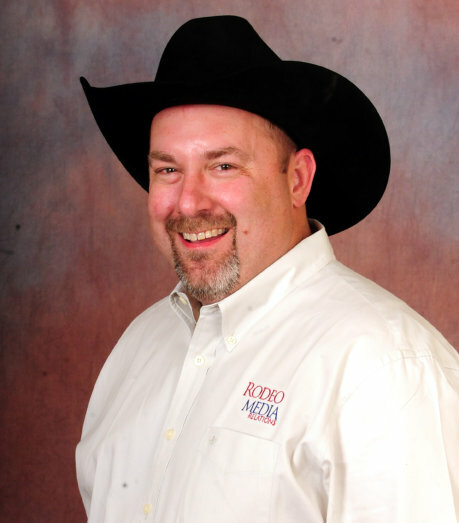 He earned the PRCA media award in 2010 and the WPRA honor in 2014. With more than two decades in print journalism, Harbin has a keen understanding of mass media and social media, ways Rodeo Media Relations can assist you in getting your word out. Whether it’s is with unique feature writing-style news releases or through the creation of print advertisements, radio spots or TV commercials, Harbin expands your reach with an impactful presentation. These methods of event promotion have proven effective. While the newspaper industry has struggled with the economic downturn, there is still a hunger for quality stories. That’s where Ted Harbin and Rodeo Media Relations steps in. With the innovative, feature-like presentation of promotional news, the information reaches the right people. When newspapers and their dwindling staffs are struggling with the economic times and covering all that needs to be covered, having Ted Harbin and Rodeo Media Relations on your side can help your event become front page news. The journalistic quality Harbin presents makes it an easy decision for editors and news directors. And while the focus of the business is the sport of rodeo, the concept used by Rodeo Media Relations can be put to use for any purpose.